﻿ Industrial Refractory Services Inc. Designing & manufacturing Tank Vapor thermal oxidizers. Pressure Vessel Design and Construction. "U" and "R" stamp certified. Now accepting quotes. Sandow #5 power plant facility completed. 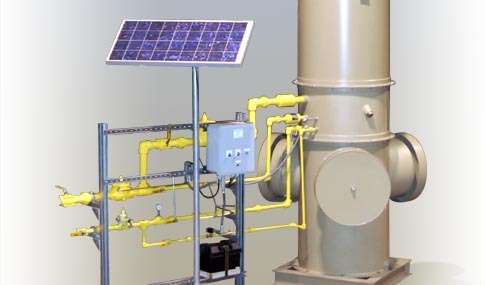 Now producing a new line of thermal oxidizers for the natural gas and petro-chemical industries.